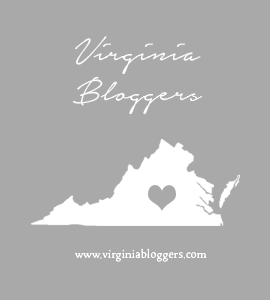 This post contains affiliate links to products I used and love. I recently wanted to make apple crisp for a get together at my house. We were having work friends over on the weekend with kiddos in tow. Having that many people in my house is hard. We only have a dining room table for six. Not to mention everyone ends up in the kitchen anyway. So sitting down in the traditional sense is hard and just doesn’t happen if we have more than eight people over. Especially when those people have small children. It’s chaos. Totally welcome chaos. But chaos nonetheless. Sitting down to eat dessert isn’t in the cards for these types of get togethers. I decided to try to make my Oat Crisp Baked Apples into a single bite tart complete with a dollop of vanilla ice cream. It worked great. The Apple Crisp tarts were made earlier in the day and I had them all ready to go. Then after everyone had eaten I put a small scoop of ice cream on top of each one and walked around with my tray of dessert. Everyone took one and gobbled them up quickly. The best part was no silverware or dishes were needed. Then I filled each tart with enough diced apples to fill each one. I diced my apples really small so that they would fit well and I sprinkled them with fresh lemon juice to make sure they didn’t brown while I was assembling everything. The oat crisp topping is delicious with almond flour, whole oats, brown sugar, cinnamon, Chinese five spice and butter. I pulsed everything in my food processor then used a heaping 1/2 teaspoon to top each tart with the crisp topping. After baking for 20 minutes they were ready to come out of the oven. I allowed them to cool then used a butter knife to help get them out of the muffin tin. 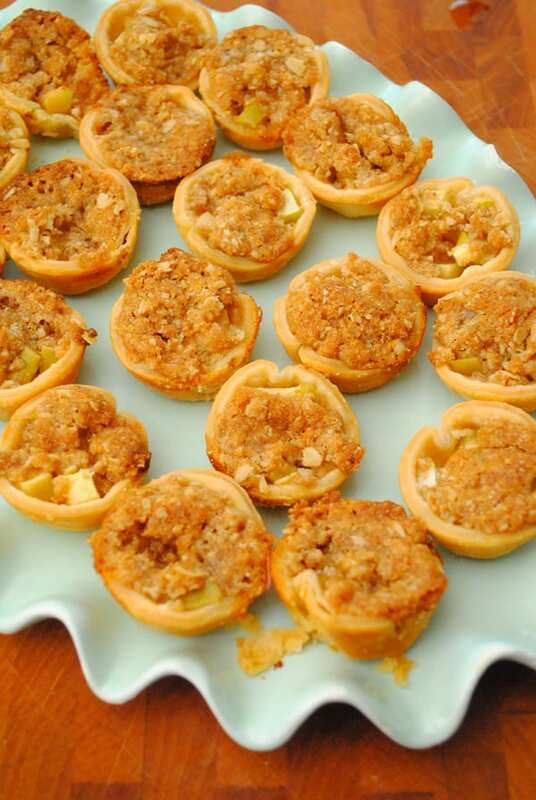 I put the Apple Crisp Tarts on a serving tray and kept them on the counter until I was ready to serve. I used a teaspoon to scoop out vanilla ice cream when I was ready to serve and topped each one. The ice cream was a nice touch but not necessary. Heavily grease a mini muffin pan with non stick spray. Then place each circle of pie crust into a spot on the pan. Dice the apples very small. Then sprinkle with the lemon juice from the half of the lemon so that the apples don't brown while you assemble the dessert. Fill each muffin tin with the apples. You don't want them mounded up, you need room for the crisp topping. Just make sure each one is filled with an even amount of apples. In a food processor fitted with the steel blade combine the brown sugar, oats, almond flour, cinnamon, five spice, vanilla, salt and butter. Pulse for 20-30 seconds or until well combined. Using a 1/2 tsp measure a heaping amount into each muffin tin. Pressing down to top the apples. Continue until all of the tarts are covered with crisp topping. Bake for 20 minutes or until nice a golden brown. Allow to cool in the pan for five minutes. Then using a knife carefully get the tarts out of the pan and allow them to continue to cool. You might have a few casualties with sticking but most come out just fine. Top with a teaspoon of vanilla ice cream if desired.